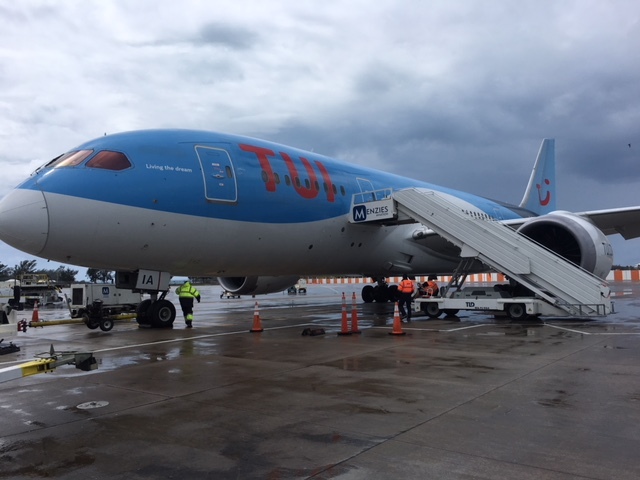 A police spokesperson said, “Police responded to a report of unruly passenger onboard a flight that was on route from London Gatwick to Cancun Mexico. It appears that a 39-year-old male British national was arrested and removed from the plane for being extremely intoxicated and unruly. “The suspect was assessed by on scene medical personnel but refused any kind of medical attention, but was extremely unruly and whilst in custody threw himself to the ground and struck his head on the floor, sustaining what appears to be a minor self-inflicted head injury. He may had drinks prior to boarding the flight. Interestingly enough, social ills are ALL over this planet. Mexico, Bermuda, and the like. It’s a Russian conspiracy. The gentleman is clearly a victim. I was on board this flight yesterday and it was allegedly not only alcohol that had this Male in this state. Also he was attempting to smoke on board the flight something that is an illegal offence. We were on this flight, TUI could have handled this better, a strong threat of arrest in Mexico on arrival would probably have sufficed rather than the whole plane of people having to sit on a runway in Bermuda for 2 hours and the return passengers severely delayed – if he was that ‘dangerous’ then why did he not inflict violence on the crew in the 20-25 minute period from announcing we were landing in Bermuda to landing? Crew just needed to ‘man up’ and sort him out!